In My Mailbox is a meme lead by The Story Siren. It’s a chance to report what books we’ve acquired this week, whether by mail, bookstore, or good old library loan. What a fun way to keep track of each others’ reading habits! 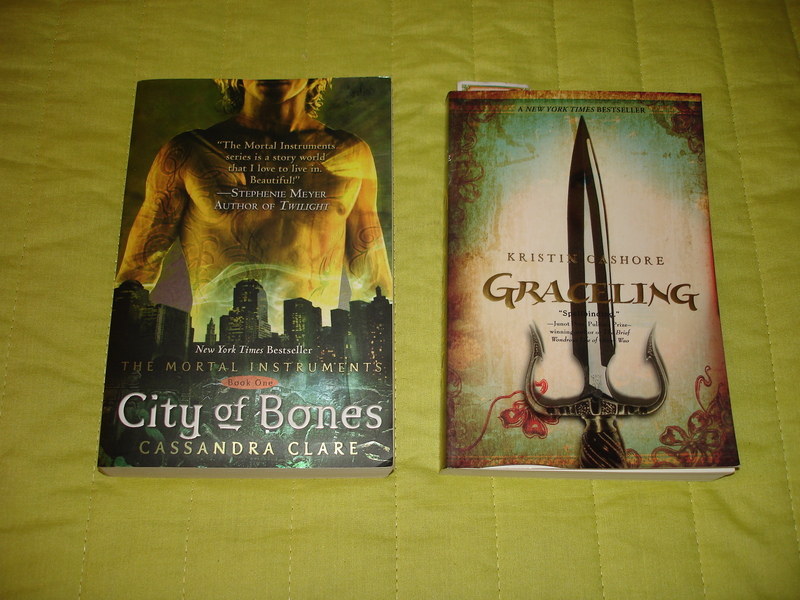 I don’t usually have much book-buying money, seeing as I’m a starving graduate student, but a splurged a bit this week. 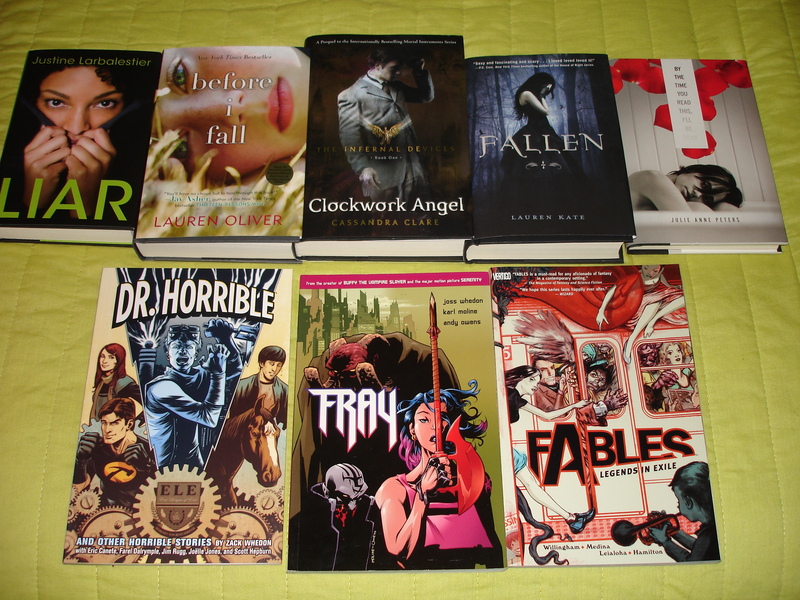 A Borders in my city is going out of business, and I used that as an opportunity to pick up some hardcovers. And then for Thanksgiving I was in my hometown, so of course I had to run by my favorite comic book store. This week will mark the first time all term when I’ll be able to read for pleasure, instead of classes. Now, that’s not to say I haven’t read some great stuff this term, since I’ve been lucky enough to be TAing a class on publishing for young adults (and thus reading 15 awesome books in 10 weeks…phew!). However, it will be nice to read things simply because I’ve been really wanting to read them, so I’m starting out with two books that have been taunting me all term. I might not get to them both this week, but only time will tell. I can’t wait to read Fallen too, it’s just such a pretty book; I hope the inside is half as awesome as the outside is.